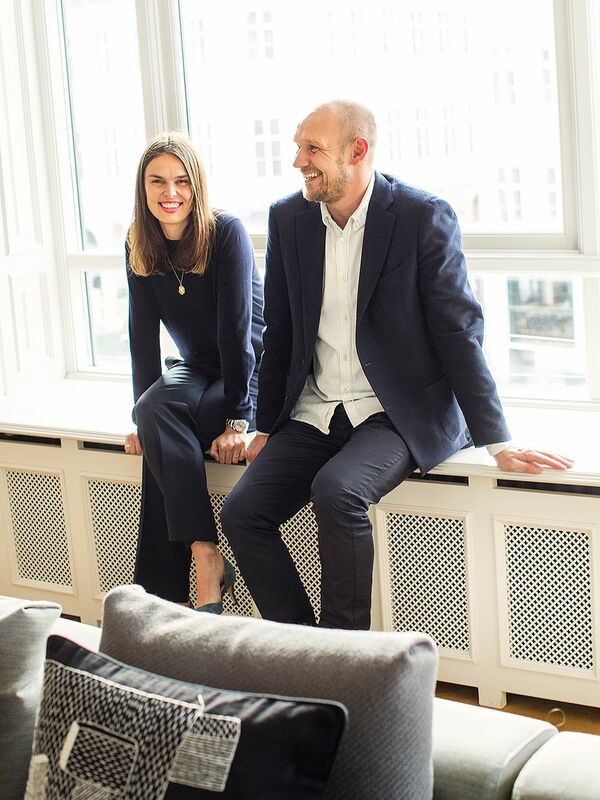 Mette and Rolf Hay, the creators of the Danish brand Hay, have conquered the design world in a decade. It has not been easy, but the entrepreneur couple is driven by passion. They want to develop products that people grow fond of. 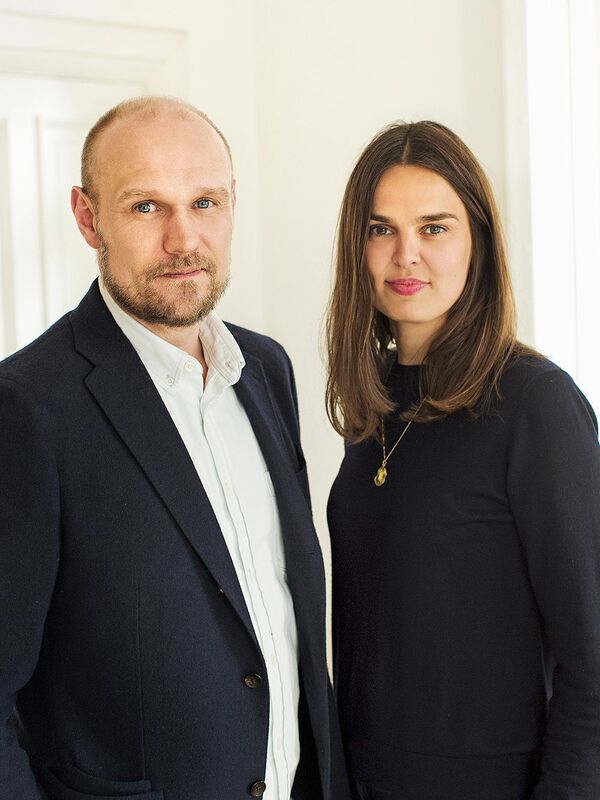 Mette and Rolf Hay are the co-founders of Hay. YOU WOULD NOT SEE it while walking on the street, but Hay’s flagship store, Hay House, is right in the center of Copenhagen. There are no actual display windows since the store is located in the second and third floors. 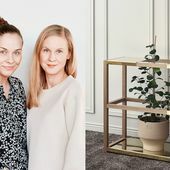 “We were nervous about how customers would find their way up to the store on the second floor, but thankfully we worried for nothing”, says Mette Hay, one of the creators of the brand. Walk one floor up from the street to reach the door of Hay House. 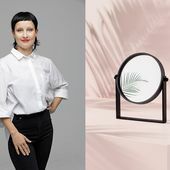 Hay’s story began in 2002 when Rolf Hay met Troels Holch Povlsen, a Danish business man who has founded the clothing giant Bestseller, among others. The men decided to start making furniture together. ”Our vision was to make high-quality products at a reasonable price, and ask top designers to help”, tells Rolf about the company’s early days. For the first year he was the sole employee on the company’s payroll. ”Rolf was dedicated to his work, and his passion drove us forward. I think he was already knocking on factory doors early in the morning, before the employees had even shown up”, says Mette, laughing. She has been a part of Hay since the start. The flagship store is located right in the center of Copenhagen. In addition to furniture, they sell home accessories, and the decor changes every few weeks. 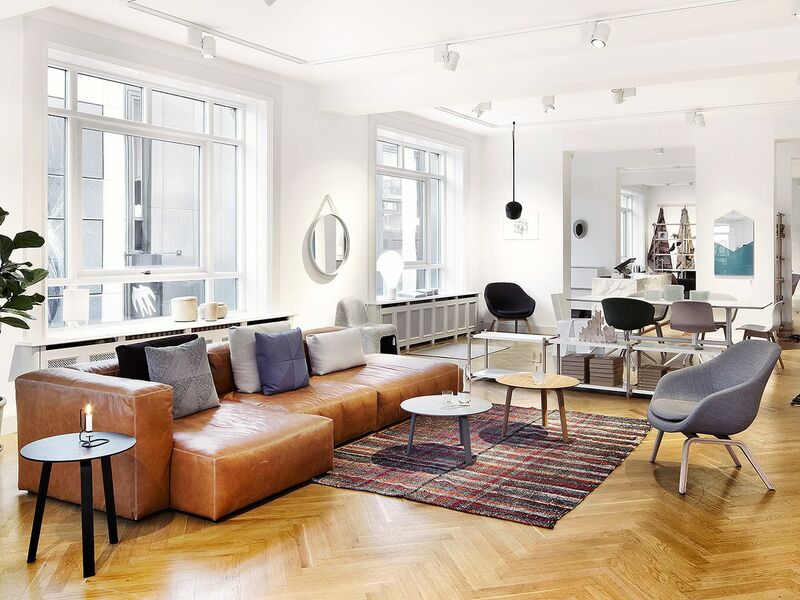 Hay introduced its first collection at the Cologne furniture fair in 2003, and a year after that the first store of their own opened on Pilestræde, in the center of Copenhagen. Hay has been growing at a good pace: last year Mette and Rolf wrote over 200 Christmas cards to their employees. The selection consists of furniture and home accessories. “They are two completely different worlds. Bringing home accessories into the collection has not been an easy decision. I remember when I was arranging accessories, that I thought looked delightful, in the Pilestræde store window. A boy walked by with his father and exclaimed: ‘They’re opening a toy store here!’ I was terrified, wondering if we were going to lose our reputation”, Mette now describes. The wide stairs are the most impressive element at Hay House. They were found in an auction in London. A carpenter had to work on the stairs for so long they stopped counting the hours. 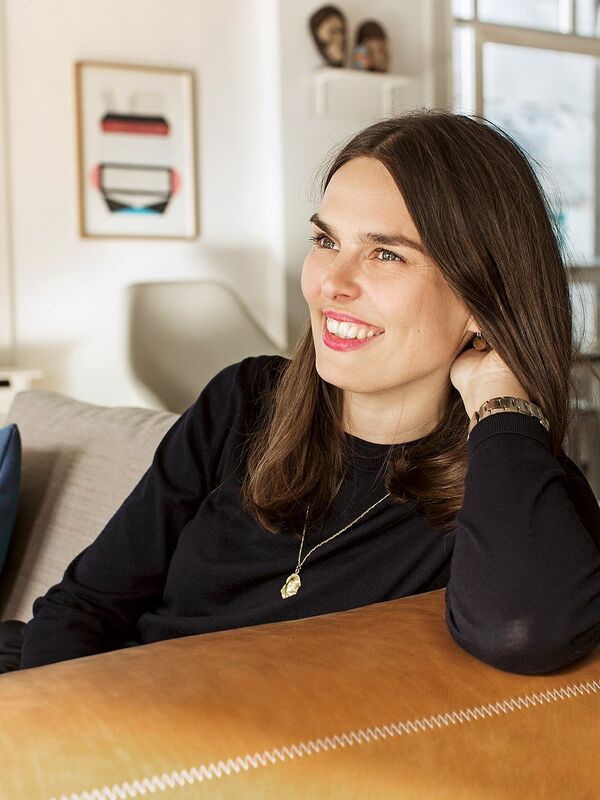 The home accessories, called the Hay Market collection, are Mette’s responsibility. 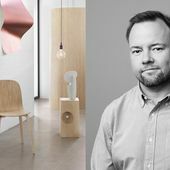 Rolf, on the other hand, is responsible for the furniture, and the most well-known items are the Tray Table coffee table, the About A Chair chair, and the Copenhague series, designed by the Bouroullec brothers. “Architecture is a good starting point for developing ideas for products. Much of Alvar Aalto’s furniture, for example, was originally designed for a specific building. 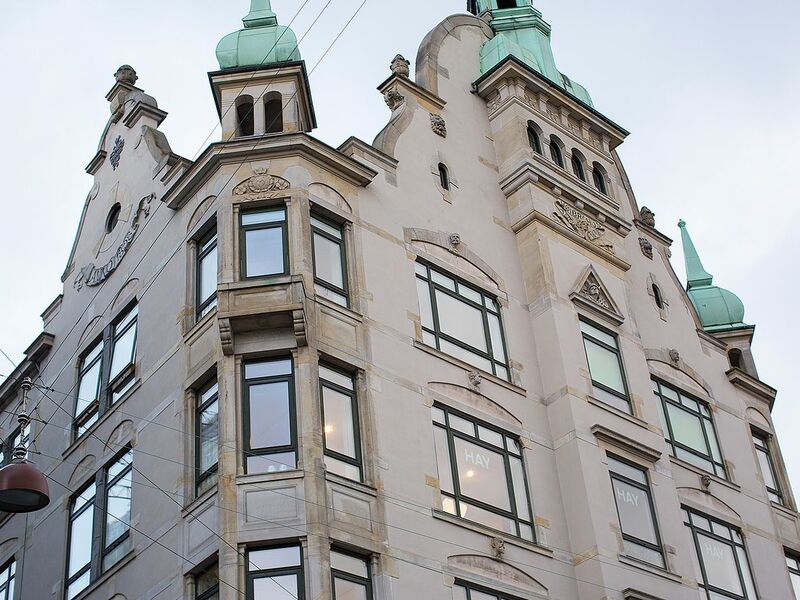 The Copenhague series was born when the University of Copenhagen contacted us. 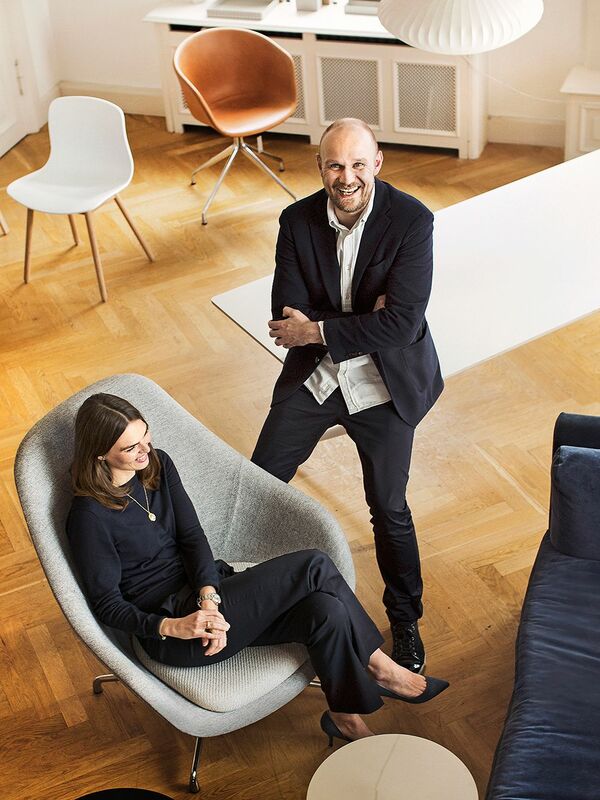 They needed new furniture, and we then contacted the Bouroullec brothers, because we thought they would be a magnificent choice for designing the furniture”, Rolf states. ”We often go to the flea market with my daughter. She loves them and I’m looking for inspiration – always keeping my eyes open”, Mette Hay tells. 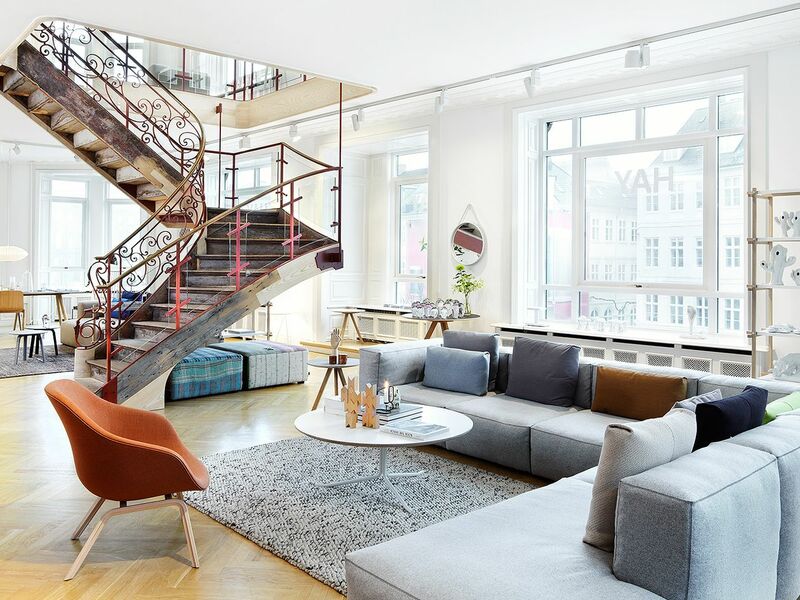 The couple’s home is in Northern Copenhagen, and the commute takes about 20 minutes. The interior is a combination of old and new. “We have products in our home that we already had before Hay, and also prototypes we took for testing. We both can fall in love with a product and be passionate about designing it, but we don’t necessarily need to have it in our home. We are now living our dream through our work, so we don’t use that much time for decorating our own home. We don’t live perfectly at all!” Mette laughs. “A while ago we bought a summer cabin, and its interior is a real mishmash. Not everything has to go together, what’s more important for us is the story of the object”, Rolf Hay says. “Our house is from the 1930s, and it was designed by Kay Fisker. The same architect also took part in planning the Aarhus University. There are many original wooden surfaces left in the house, and it has been treated extremely well. For example, the kitchen has been modernized, but the original cabinets have been saved”, Rolf reports. In the same way he hopes that Hay’s products stand the test of time and evoke feelings. “We want to make products that people hopefully form an emotional bond with and that they truly care about”. The Bouroullec brothers designed the Copenhague furniture collection in 2012. ROLF HAY, who is responsible for Hay’s furniture collection, emphasizes the importance of a good idea in designing. 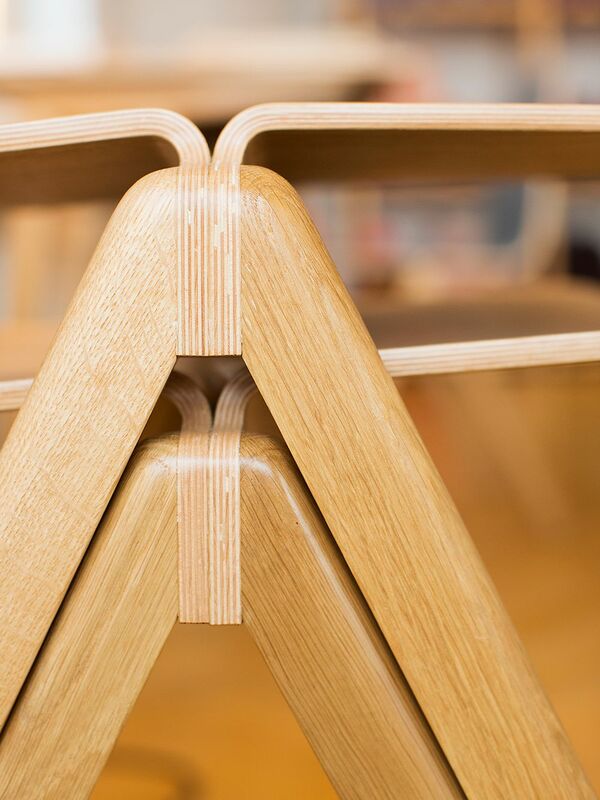 He challenges the designer to think what new things they could add to a familiar product – a chair, for example. This article was originally published in Design Stories issue 2.